Reunion VII began on Friday October 29, 2006 with a visit to the 58th Special Operations Wing at Kirtland AFB, NM. Reunion attendees viewed the various aircraft of the 58th SOW and the newly formed 71st SOS. 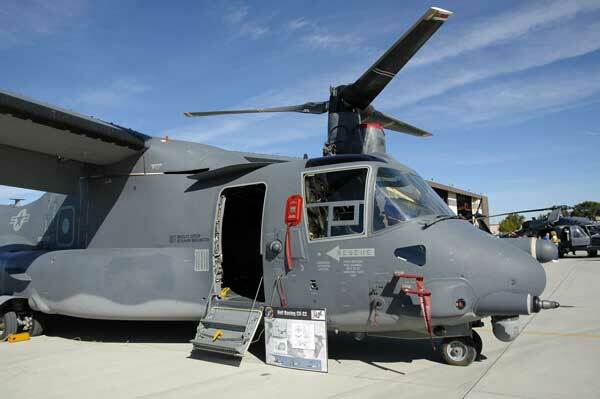 Of most interest were the brand new CV-22 'Tilt-Rotor' Ospreys. 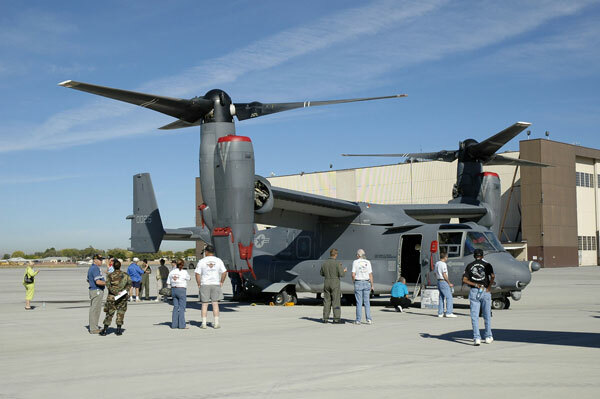 The Air Force's newest aircraft is the CV-22 Osprey, and is currently assigned to the 71st Special Operations Squadron. The new 71st SOS was activated on May 20, 2005 and is assigned to the 58th SOW of the Air Education and Training Command. 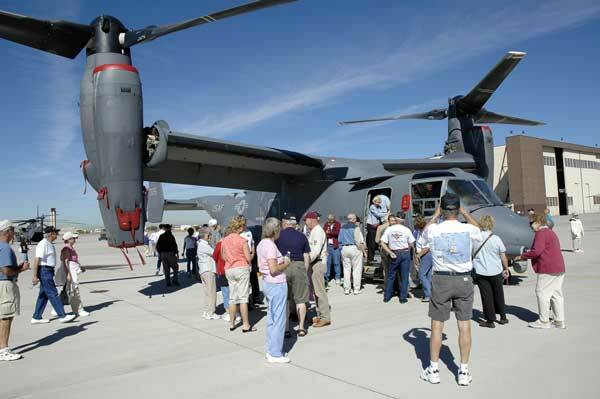 The new Osprey attracted considerable interest as reunion attendees got to tour the aircraft and learn first-hand from 71st personnel. 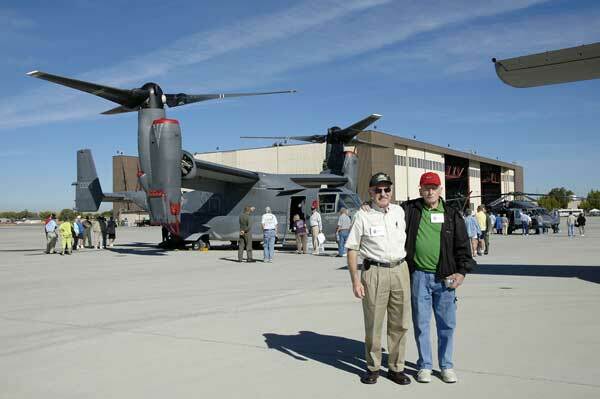 Three eras of the 71st Squadron: The CV-22 Osprey of the current day 71st SOS in the background, Jim Alvis of the Vietnam era 71st SOS, and Marvin Litke, C-47 pilot of the 71st Troop Carrier Squadron, World War II. 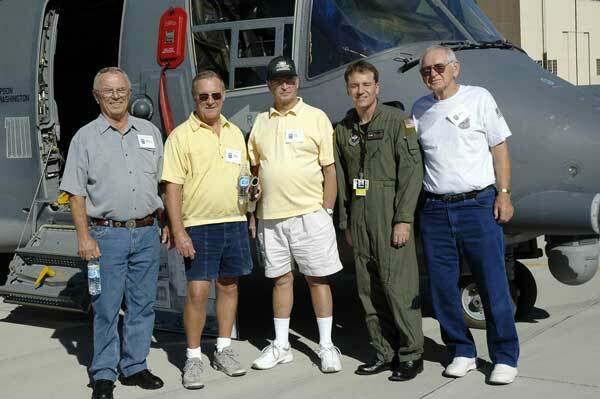 (L to R) Bernie Westendorf, Bob Eckstein, Tom Jump, SMSgt Jeffrey Hoyt of the new 71st SOS, and Jack Bastin.